So you have your lighting concept all planned, and now you are raring and ready to go on to purchasing the right lighting fixtures that will create the desired effects. The great thing is that you do not have to leave the comfort of your home to make that selection. You can excite your senses and have a very pleasant experience as you browse a wide range of products and purchase the one’s of choice from an online store. Purchasing lighting fixtures from reputable online stores will not only save you money, but also allow you access to a much wider selection and higher quality fixtures than you might find in your local region. Here are a few things you should know about buying lighting fixtures online. 1. Style and function – Neither of these factors should be sacrificed for the other. Online stores offer a very wide range of stylish products, but ensure that the ones you select will also be able to carry out the intended function. You want functional lamps that have a perfect finish. 2. Options – Your local store may not offer you the range of options you get when you shop online. There are thousands of options and this can get pretty confusing. Shopping online for lighting fixtures that will work best for you will require that you pay attention to size, shape and color of the product as well as installation requirements. 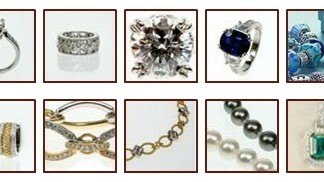 You can learn about all of these from the product description or by calling the online store’s customer service line. Read the description of the fixture and go over the measurements before purchasing. You do not to want to end up with fixtures that are too big or too small and too complicated to install. 3. Prices – Shopping online is a great way to go bargain hunting and taking advantage of quality products that are offered at budget friendly prices. Websites operate with a much lower overhead cost than brick and mortar stores, so they are able to offer their products at attractive discounted prices. Online stores may also offer free shipping on purchases that exceed a certain amount and this is another great way to save. 4. Convenience – Brick and mortar stores operate within a certain time frame that requires customers to adjust their schedule. Shopping online eliminates so that you can visit an online store from the comfort of your home at any time – even in your PJs. Not only do local stores have inconvenient hours of operation, but they also may not be open for business on the weekend. 5. Trying the products hands-on – Some online stores have a partnership with local stores so that customers can select a variety of products online then go into the store to do a hands-on evaluation. This would be done after you narrowed down your search. Similar to shopping online for any other product, shopping for light fixtures on the web can help guarantee that you find the lighting design and effect you truly desire. Online web stores such as lampclick.com offer customers a wide range of lighting products and a great shopping experience. About the Author : Max Hyun works as an interior designer and enjoys writing on the subject, offering his tips and opinions on a variety of home decor blogs. 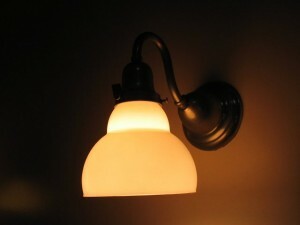 Visit Lampclick.com for home decor lighting.